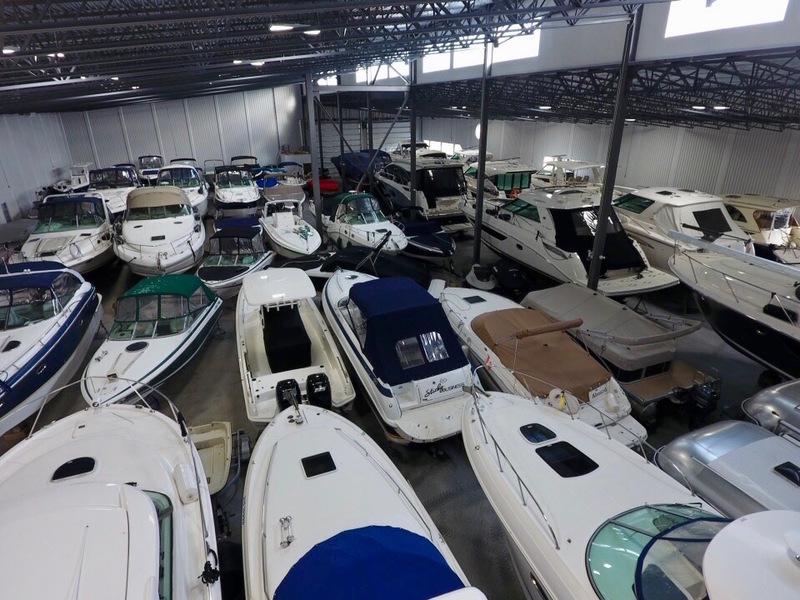 Our new state-of-the art, secure, and climate-controlled indoor storage facility, ParkStor, offers customers the many benefits of storing their boats inside during the winter months. Just 1 mile east of the Marina, we have 2 new buildings in ParkStor that offer 45,000 sq. ft. of space for up to 140 boats sized up to 48 ‘. We’ll look after all the transportation details. Heated storage allows us to perform more of your refurbish work and preventative maintenance all winter so that your boat looks and runs its best come Spring. Take advantage of the many benefits that this offers; higher potential trade in values, less wear and tear on canvas, less clean up time in spring, and tons more! 30 New Dry Racks are now available at ParkStor. With dry Racks, more boaters are able to protect their vessels from the winter elements. All inside Racks regardless of length (max 25′ LOA) are available on a first come basis. Boats must be ready for Rack storage no later than Sept. 30th and retrieval date is after May 1st. Ed Huck Marine offers factory-authorized maintenance, winterizing & storage solutions to all makes and models. Our Winter Work Program tackles bigger repairs in the off season so you maximize your time on the water.